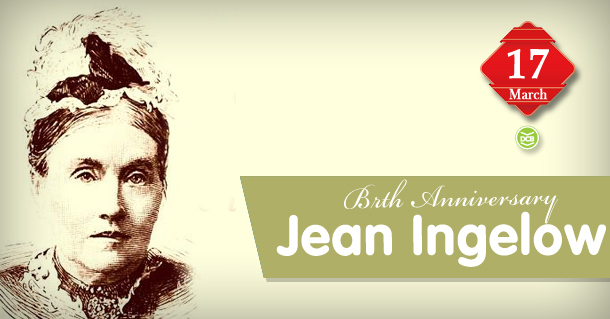 Jean Ingelow is a poetess, novelist, and author of charming children’s stories. She was born on 17th March 1820 in Lincolnshire, England. She began writing during her teenage under the pseudonym Orris. A lyrical poet, her first published work was A Rhyming Chronicle of Incidents and Feelings. From 1852, Jean contributed regularly to the evangelical Youth Magazine under her pseudonym and was for a short time its editor. Later these stories were compiled as Tales of Orris, her contribution to children’s literature. Her critically acclaimed work is the volumes of poetry titled Poems in 1863 which ran over thirty editions. The other collections include A Story of Doom, and Other Poems (1867). Her prose includes the novels Allerton and Dreux (1851) and Off the Skelligs (1872), and the children’s tale Mopsa the Fairy (1869). She died on 2oth July 1987.